Discover the Future | Spaceship! Spaceship! Spaceship! 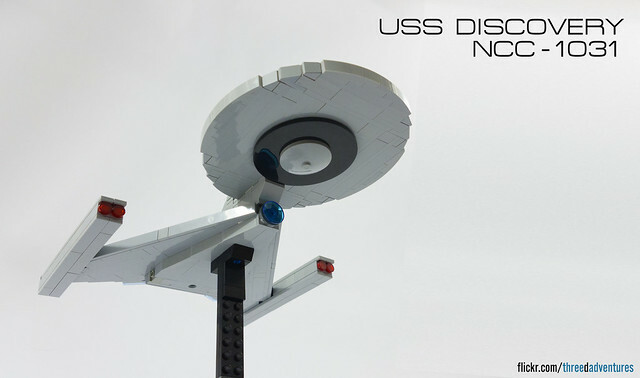 Star Trek Discovery hasn’t even aired on TV yet, but that hasn’t stopped me making a LEGO model of the titular USS Discovery. Back in the late 70’s, Paramount developed several projects intended to bring Star Trek back to the screen. One of these was titled Planet of the Titans and went as far as production designs, including a revolutionary design for the Enterprise, by Ralph McQuarrie. Whilst Planet of the Titans never came to be and Star Trek’s future eventually morphed into The Motion Picture with a much more conventionally re-designed Enterprise; I’ve always loved this design for the boldness of its re-imagining of such a classic design. I tried to build it in LEGO a while back, but it didn’t work very well; so imagine my surprise when the Discovery Teaser Trailer revealed they were leaning heavily on McQuarrie’s concept. The design has divided Star Trek fans; but I love it for so bravely defining a bold new direction. 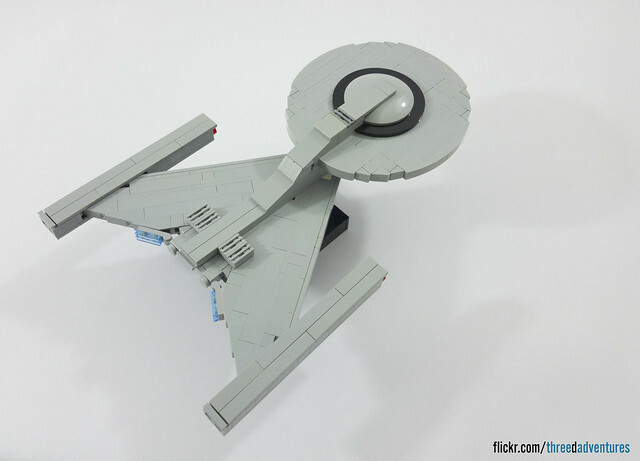 I was also really pleased with my LEGO model, where I was able to reproduce the striking angles of the secondary hull whilst keeping the model smooth. It’s a bit bland and featureless being light grey with only a few little details in colours to break it up. Perhaps when the TV series airs and the design finalised I’ll update the model. Meantime if anyone cared to build their own you can download the LDD file here.